The exhibition “Alexander Pushkin and Spain” has been timed to mark the Year of Russian Language and Literature in Spain and the Year of Spanish Language and Literature in Russia, held in the two countries in 2015-2016. 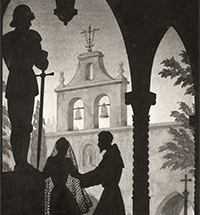 Divided into two major sections, it explores respectively the plots and images in Pushkin’s art inspired by Spain, and the periods, and accompanying attitudes, in which Pushkin’s creative works were received by Spanish readers. 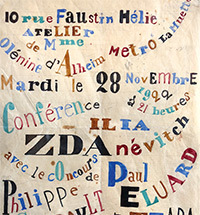 Better known as Iliazd, Ilia Zdanevich (1894-1975) contrived to remain at the forefront of the avant-garde all his life. From his youthful efforts to his more mature work, through middle age to old age, he was always at the very epicentre of the avant-garde. During his long lifetime - Iliazd lived to the age of 81 - art movements came and went with dizzying speed, with avant-garde styles in a constant state of flux, appearing, disappearing, reorganizing, merging, changing names. The most consistent figure of the avant-garde, Iliazd was something of a living monument - and he was our compatriot. 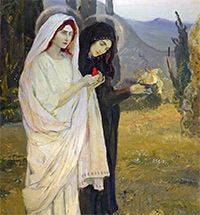 As the exhibition “Iliazd. The 20th Century of Ilia Zdanevich” runs at Moscow’s Pushkin Museum of Fine Arts, curator Boris Fridman recalls a unique figure in 20th century culture. 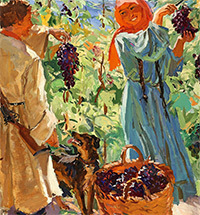 In the years preceding the revolution, Alexei Shchusev worked predominantly on church architecture and made a name for himself as a professional in that field. In 1901, he was assigned, “as an addition to the existing staff”, to the office of the Holy Synod’s Attorney General. 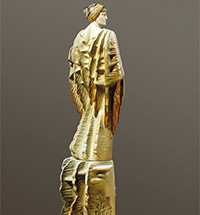 However, by 1910 Shchusev had already become a member of the Imperial Academy of Arts “in recognition of his artistic reputation”. 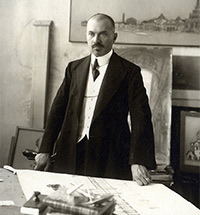 After the 1917 revolution, the artist accepted the new government and wrote his own chapter in the history of Russian architecture, creating many outstanding monuments. “Reading Tolstoy” is the first exhibition of Arkady Plastov’s art to bring together almost all of his works dedicated to Leo Tolstoy and Tolstoy’s literary heritage. In November 2015 the Leo Tolstoy Museum in Moscow, the Tretyakov Gallery and members of the artist’s family contributed works to the show in the Tolstoy Centre Museum in Moscow. Valery Maloletkov, a famous master of contemporary applied arts, People’s Artist of Russia and member of the Russian Academy of Arts, recently celebrated his 70th birthday. Maloletkov’s work in ceramics, ranging from portraiture and genre scenes to works inspired by history and literature continues to expand the possibilities of the form. 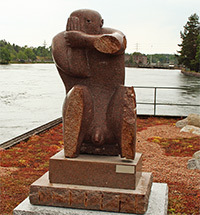 His artistic career started with a group of young ceramic artists at the Vorontsovo Experimental Design and Production Plant. 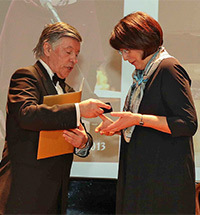 Passionate about discovering new means of artistic expression, mastering different materials and techniques of decor, and widening the possible volume-spatial, plastic, constructive and colour possibilities of clay, he grew increasingly close to a number of talented Moscow artists, including Vadim Kosmachev, Vladimir Petrov, Lyudmila Soshinskaya, Tatyana Gan and Suren Malyan. “Seeing” means not just looking, but contemplating and comprehending the world around us. “Hearing sounds” means not just listening, but joining in with the rhythms, the very soundings of the Universe. That is close to how the legendary Lao Tzu defined the true nature of sight and hearing in his poetic treatise Tao Te Ching (“A Book about Way and Power”). The sage believed meditation allows a man to relieve his mind of everyday thoughts and troubles, to go beyond the material world in his consciousness, achieving the boundaries of the immense world of natural phenomena. 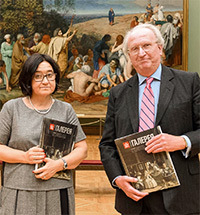 The publication of the "Spain-Russia" special issue of the "Tretyakov Gallery" Magazine and its presentation on October 26 2015 at the Tretyakov Gallery's Mikhail Vrubel Hall was a major event in the "On the Crossroads of Cultures" programme of the GRANY Foundation. On November 9 2015 the Conference Hall of the Tretyakov Gallery Engineering Building hosted a reception "The Artist Sorcerer", dedicated to the outstanding Russian artist Ivan Pokhitonov (1850-1923). 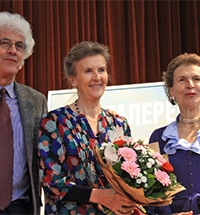 Allegra Markevitch Chapuis, Pokhitonov's great-granddaughter who lives in Switzerland, has made a generous donation to the Tretyakov Gallery of a number of previously unknown documents from the family archive. The Tretyakov Gallery celebrated this anniversary, a major event for our museum community, at its conference centre on December 21 2015. During the decade of its existence, the Pavel Tretyakov Award has been bestowed on 30 individuals whose lives have all been inextricably linked to this very museum, and who revere the name of Pavel Tretyakov.